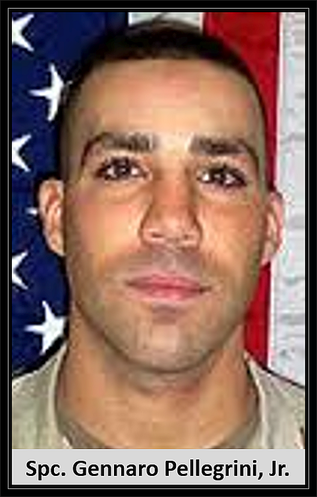 Died: August 9, 2005 in Operation Iraqi Freedom. Death: Aug. 9, 2005, Iraq. 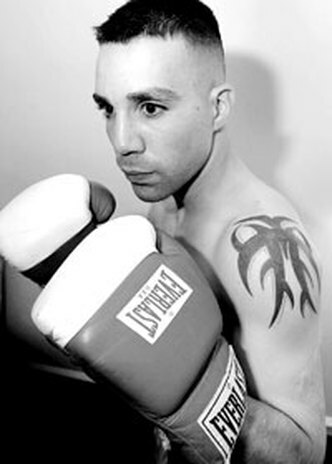 "One Punch Gerry" was the nickname fellow Philadelphia police officers gave Gennaro Pellegrini Jr. after he famously knocked out a violent suspect with just one blow. "There's a kid that never gave up," said Frank Talent, of the Pennsylvania State Athletic Commission, who watched Pellegrini, an amateur welterweight, win his first professional fight last year. "He had heart to the end." inherited his father's badge number, 3722. While in Iraq, he convinced schoolchildren to collect 350 pairs of flip-flops for Iraqi children. He is survived by his parents, Edith and Gennaro Pellegrini Sr. If only Pellegrini had been allowed to fight his enemies where he preferred to — in the ring, said cousin Jerry Wahl. "My uncle said, ‘It's a shame he couldn't have gone over there and fought one on one, hand-to-hand combat," said Wahl. "Then he would have taken care of business, and we wouldn't be here right now." PHILADELPHIA (CBS) – Somewhere this day you’d like to think Gennaro Pellegrini Jr. is smiling. Somewhere you’d like to think he’s looking down on his fellow Philadelphia police officers, and the men he served with in his National Guard unit, his fist pumping over the news that Osama bin Laden is dead. Army Spc. Gennaro Pellegrini Jr. received one last wish on a steamy May 21, 2004 night at Philadelphia’s Legendary Blue Horizon. He got a chance to have a professional fight before he would be deployed to Iraq, before personally plunging himself into the mess that bin Laden created on a cloudless, September 11, 2001. It was just a four-round fight, but Pellegrini never felt more alive than he did that night. His toes tapped incessantly as he sat in his cramped, drab dressing room, his arms outstretched over a folding chair while his hands were getting taped. His head swirled that night like a top from all the well-wishers that wanted to see him. Pellegrini’s camouflaged trunks were only worn once, the night of his pro debut—when he came back to beat John Harris with a dramatic fourth-round KO. Pellegrini gave the trunks to Blue Horizon owner Vernoca Michael with the promise that he would return from Iraq and wear them again. That was one dream that went unfulfilled. 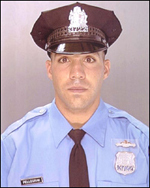 On Aug. 9, 2004, Pellegrini’s family, his many friends and those he touched in Philadelphia’s 26th Police District learned that Pellegrini was killed in action in Iraq. A land mine went off under his armored Humvee. Gerry, as he was known to friends, and three others in his National Guard unit were attacked outside the northern town of Beiji. Pellegrini’s death took everyone who knew the 31-year-old by surprise. To those who knew him, his generosity and sincerity tugged at a lot of hearts. Hardscrabble matchmaker Don Elbaum was one of them. Elbaum is a salt-of-the earth kind of guy, a walking boxing cliché you see in black-and-white boxing movies. Yet there was something about the kid, Elbaum thought, that touched him like no other fighter. “I’ve been in this boxing game for a while, and I’ve never been through anything like this,” Elbaum said. Each time Pellegrini wanted to take the vast step from the amateur ranks — where he won a Golden Gloves title in 1997 and had gone 17-1 — to becoming a pro, it seemed like fate always intervened. In 2001, Pellegrini had a fight lined up in September, when 9/11 occurred. He tried again, but his second attempt was thwarted by a call from the Philadelphia Police Academy, which prevented him from fighting professionally until his probation period ended. While a member of the academy, Pellegrini was not allowed to have an alternative source of income. Pellegrini officially joined the force in 2001, purposely taking badge No. 3722, the same number his father—Gennaro Sr.—a 27-year Philadelphia police veteran wore before retiring. So when Gerry got the call in April 2004 that his National Guard unit would be activated and sent to Iraq for a year, he moved quickly to make sure he fought at least once professionally before he left. “Words can’t express how important that was to Gerry, because it might have been in the back of his mind that he wouldn’t be back to try again,” said Pellegrini’s sister, Kim Petaccio, whom Gerry lived with in the Port Richmond section of Philadelphia. “Aside from following in my father’s footsteps as a police officer, it was Gerry’s dream to become a professional boxer. I just don’t understand it. 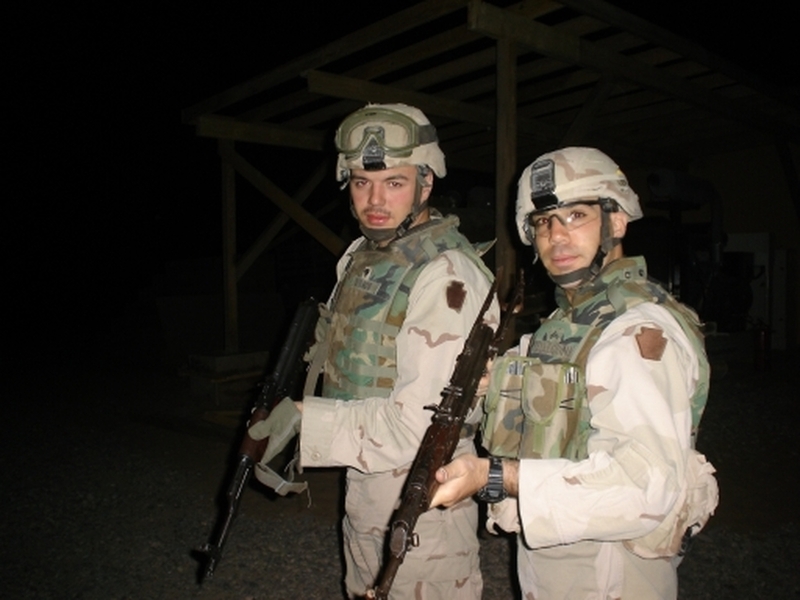 According to the Pennsylvania Department of Military and Veterans Affairs, Pellegrini was one of five state National Guardsmen killed in Iraq on Aug. 9, 2004 in two separate attacks. In the first incident, the attack claimed the lives of Pellegrini, Pfc. Nathaniel Detample, 19, Morrisville; Spc. John Kulick, 35, Jenkintown; and Sgt. Francis Straub Jr., 24, Philadelphia. In the second incident, Staff Sgt. Ryan S. Ostrom, 29, a member of Company B, 109th Infantry, Williamsport, Pa., was killed in action later that day. While in Iraq, Pellegrini developed a pen-pal correspondence with students at the Horatio B. Hackett School in Philadelphia. One of his letters explained how harsh the war has been for Iraqi children, many he came across walked barefoot through the shards of broken glass on hot dessert sand. The children from Hackett School collected 350 pairs of flip-flops and sent them over to Gerry. Every time Pellegrini tried distributing the flip-flops, he would have to seek the refuge of his Humvee, besieged with children. He gave them out in intervals, just like he’d often distribute candy to Iraqi kids. “That’s just the kind of kid Gerry was,” said District 26 Police Capt. Lou Campione, who was patrolman Pellegrini’s commanding officer for four years. So somewhere you hope Gerry is smiling and high-fiving everyone around him. Somewhere you hope that his ultimate sacrifice, after what was announced yesterday, will always be remembered.